NEW YORK (July 26, 2018) – FlightSafety International is pleased to announce that Francisco Roberto Gonzalez Calvo, David Thatcher, and Darren Fleming are the first pilots who fly Dassault Falcon aircraft to become FlightSafety Master Aviators. 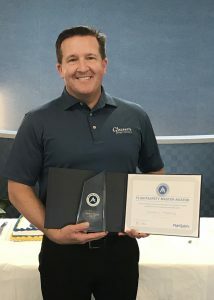 “Congratulations to Francisco Roberto Gonzalez Calvo, David Thatcher and Darren Fleming on this well-deserved recognition,” said David Davenport, Executive Vice President. “Earning the prestigious FlightSafety Master Aviator demonstrates their ability to correctly respond to challenging and unusual situations, as well as their excellent flying skills and commitment to safety. 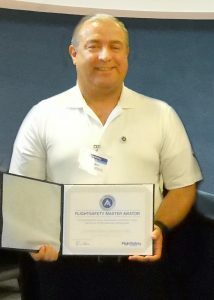 Francisco Roberto Gonzalez Calvo, the first Falcon 2000EX EASy pilot to earn FlightSafety Master Aviator, completed the stringent program requirements on July 3, 2018. He has trained with FlightSafety for more than 32 years on a wide variety of aircraft including the Citation Sovereign, Falcon 50, Falcon 2000EX EASy, and Piaggio Avanti P180. He holds an FAA ATP certificate and has flown more than 9,000 hours. 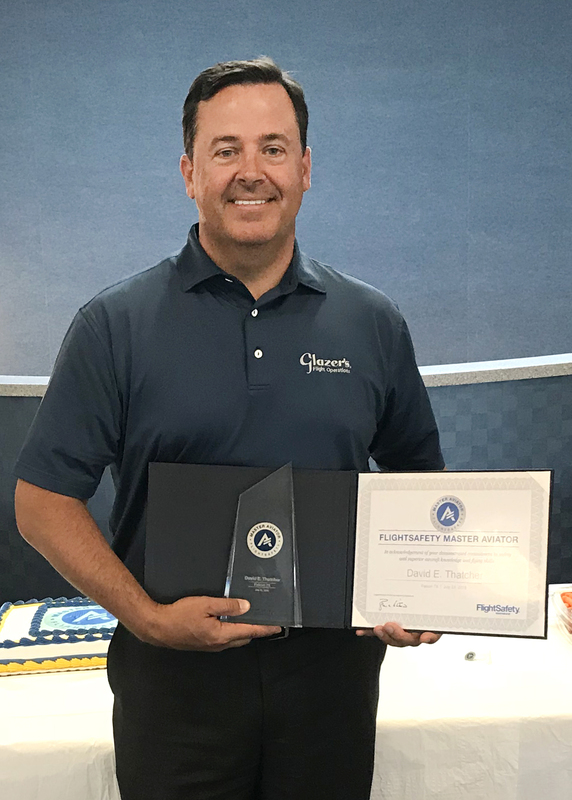 David Thatcher and Darren Fleming with Glazer’s, Inc., became FlightSafety Master Aviators on July 23, 2018. They are the first pilots to earn this important recognition in the Dassault Falcon 7X aircraft. David, who serves as the Aviation Director, holds an FAA issued ATP certificate, is a Certified Aviation Manager, and has flown more than 10,500 hours over the past 26 years. He has trained with FlightSafety since 2006 on a number of Dassault aircraft including the Falcon 2000, Falcon 2000EX EASy, and Falcon 7X. Darren, who is a Captain and Safety Officer at Glazer’s, has trained with FlightSafety since 2002 on a wide range of aircraft including the Falcon 2000EX EASy and Falcon 7X. He holds an FAA issued ATP and CFII certificate with more than 7,000 hours. He has been flying military and corporate aircraft for more than 22 years. To earn the FlightSafety Master Aviator, pilots must successfully complete a series of aircraft type-specific advanced training courses and electives in addition to undergoing recurrent training with FlightSafety on a regular basis. The advanced courses are designed to help flight crews understand and respond to challenging situations and achieve the highest level of safety. The progressive Master Aviator curriculum includes compelling scenarios coupled with breakthroughs in simulator technology, and help ensure a safe and correct response to demanding flight situations.